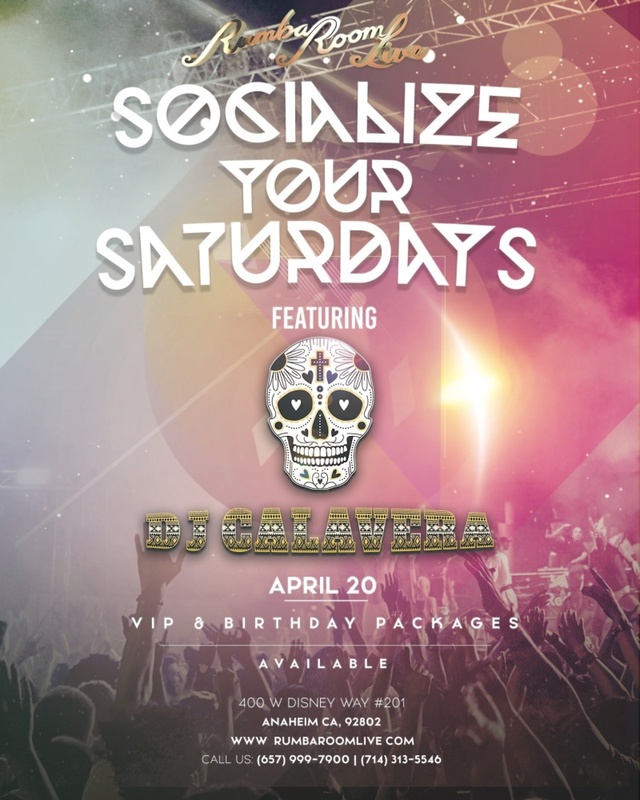 Socialize your Saturdays! OC's hottest Party is at Rumba Room Live. Join us and Indulge yourself at OC's premier nightclub.